From the TED.com YouTube channel: António Guterres thinks that we can solve the global refugee crisis — and he offers compelling, surprising reasons we must try. In conversation with TED’s Bruno Giussani, Guterres discusses the historical causes of the current crisis and outlines the mood of the European countries that are trying to screen, shelter and resettle hundreds of thousands of desperate families. Bigger picture: Guterres calls for a multilateral turn toward acceptance and respect — to defy groups like ISIS’s anti-refugee propaganda and recruiting machine. 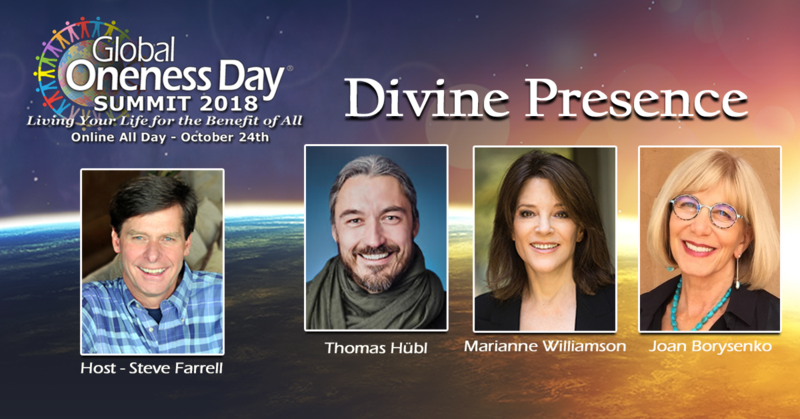 Julian and I wanted to let you know that we are again co-sponsoring Global Oneness Day, a very special day that is just around the corner. This program is the Earth Day for an awakened humanity. It happens October 24th, 2016.